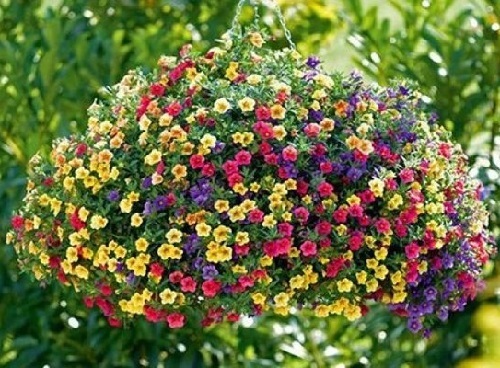 Whatever botanists studied and discussed in their scientific writings, growers appreciate this beautiful basket plant. Besides, they have successfully cultivated many varieties of it. Like the famous Surfinia, almost all the interesting varieties – the result of work of breeders of Japanese company “Suntory”. 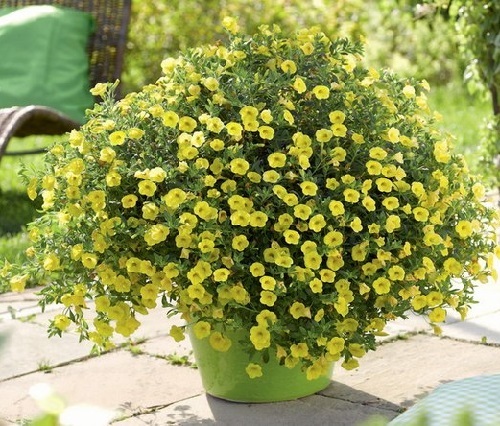 First, Calibrachoa has long tight shoots, which can reach a length of 1-1.5 meters. The leaves are small, elongated oval, and slightly pubescent. The stems – covered with numerous flowers, 2,5-3sm diameter bell. 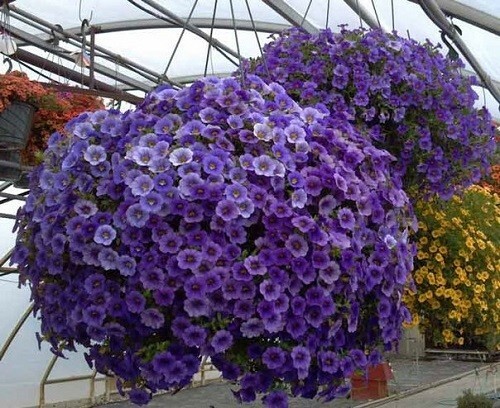 The natural color of Calibrachoa flowers is blue-violet. 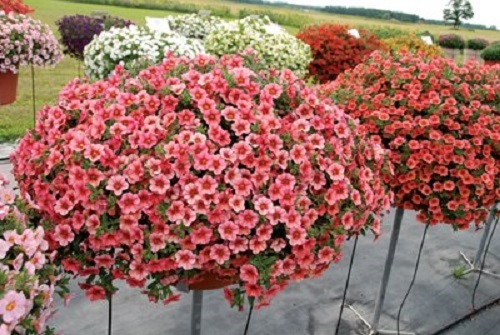 However, now there are varieties with white, yellow, red, pink, and crimson shades. Flower faux is usually yellow. Many varieties of the base of the petal have more intensive contrasts. Flower size – no more than 3 cm. Flower faux is always very different in color, usually bright yellow. Calibrachoa leaves are very small, covered with sparse, short hairs. The stem is a tight, prone to lignification. 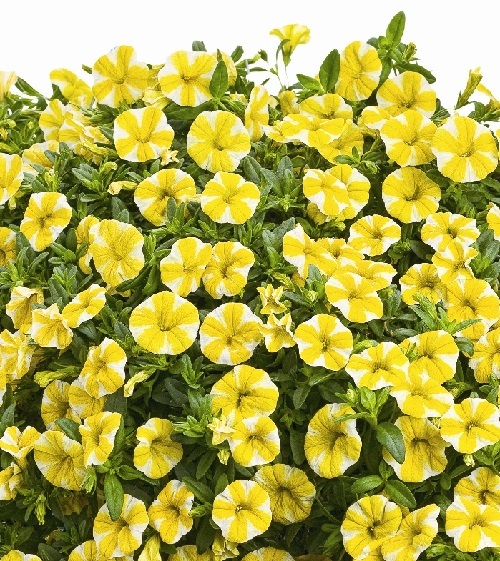 Seeds, unlike petunia are not formed. Propagated by cuttings is possible. 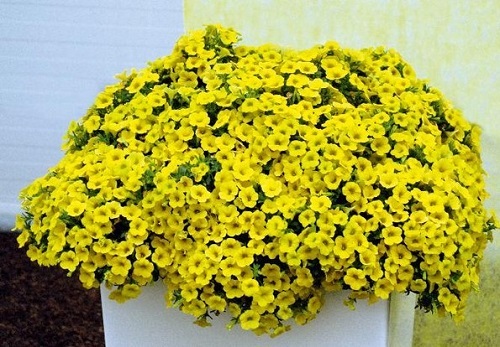 Noteworthy, the successful cultivation Calibrachoa requires bright place. As the plant is heat-loving, it tolerates heat and drought. So, the southern balcony just a godsend. 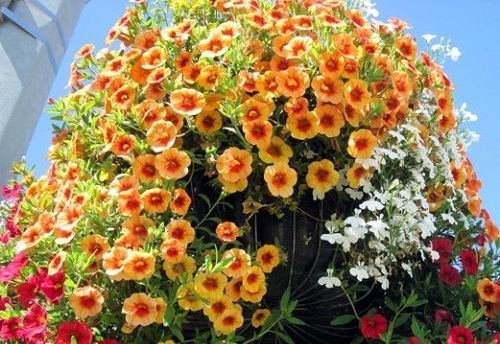 Small flowers on strong flexible shoots a little damaged by the wind, so you can use Calibrachoa on balconies. 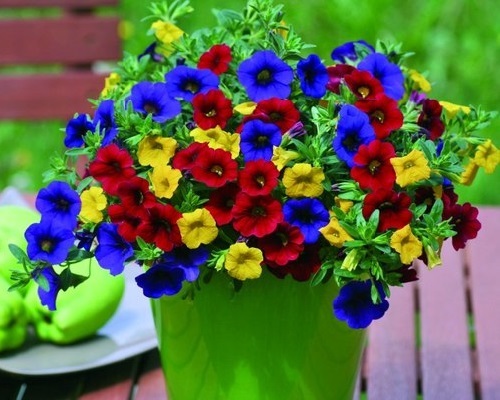 By the way, Calibrachoa has better rooting than petunia. Almost all planted cuttings quickly let the roots without covering. And it is better to spray only on the first days after planting. 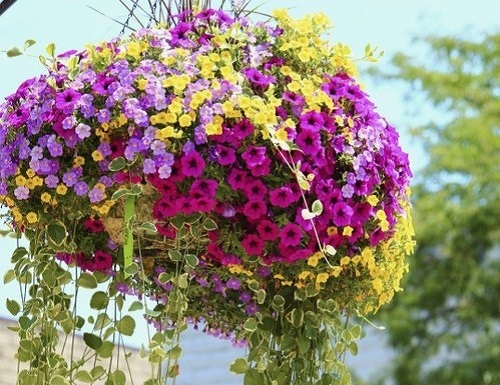 Traditionally, gardeners sell Calibrachoa under the name “Surfinia”, or “hang-downing petunia.” But no problem there, because the basic principles of caring for these flowers are practically identical. 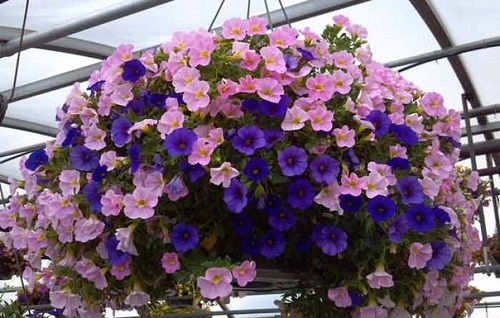 Besides, both petunias and Calibrachoa have so many varieties with their own characteristics, more different from each other than petunias and Calibrachoa. 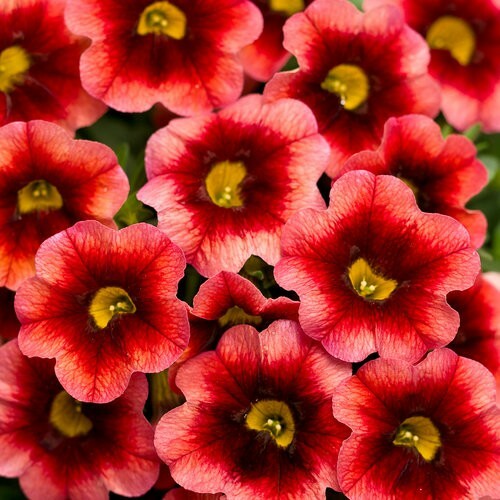 The growers use the ability of Calibrachoa to take root easily for winter growing. Summer cuttings can bloom in autumn, but to achieve large bushes and long shoots is a problem, because it requires significant pruning. Young plants grow in winter, with no problems in an apartment or a cool place. In February and March regrown shoots – cut and used for rooting, and new growth on parent gives a magnificent bloom in May.